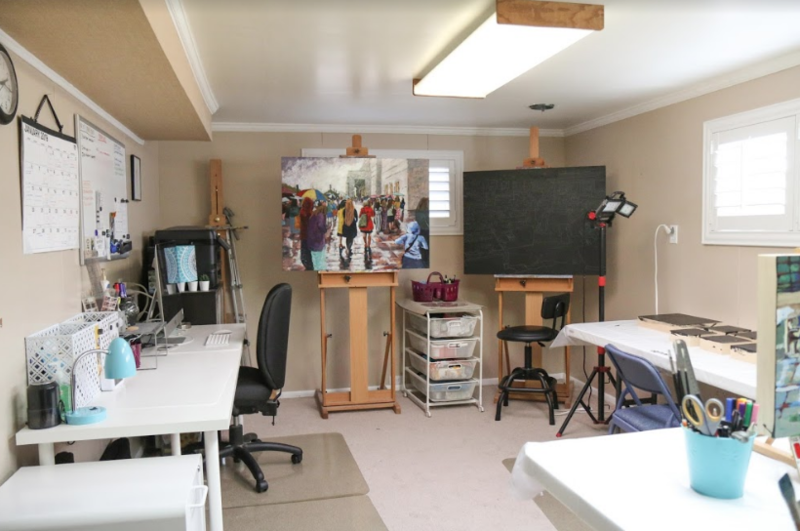 Stephanie Hock in her new studio. 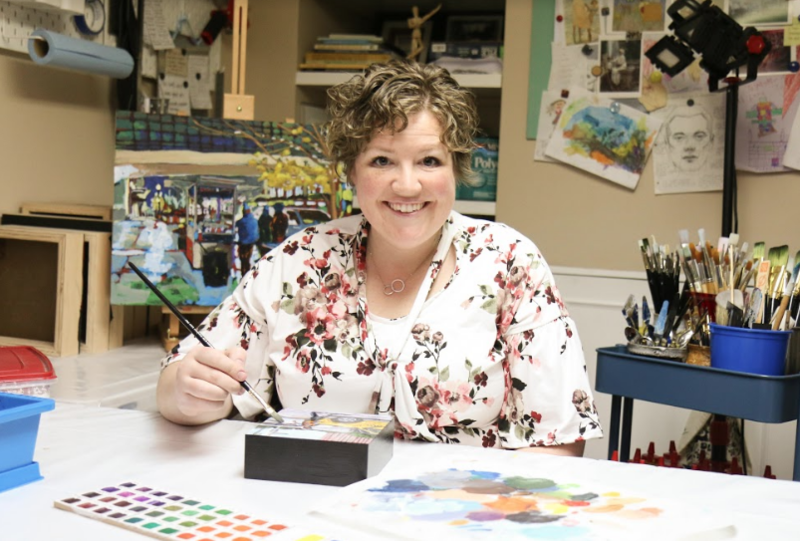 Inspired by her artist mother, bouyed by the support of her husband — who gave her three tubes of paint as a wedding gift — and pushed by artist mentors at workshops, Stephanie Hock says she been able to find her artistic voice. She’s intrigued by art’s ability to tell the stories of people, to find beauty and meaning in what our ordinary gestures tell about our feelings, relationships, values, humor, and our society as a whole. What’s New (2019) curated by Emily Larsen.